This assembly works well with years 1-6 and is quite interactive- especially if you have a willing teacher who doesn’t mind taking a risk! Talk to the children about what worries them and then talk about the way that God helps the people in the story. They don’t need to worry because He has got it covered! Invite a teacher to come out to the front (we had a very willing head teacher who we had prepared beforehand!). Sit them in a seat and hold a ziplock sandwich bag filled with water (and sealed!!) above their head. How worried do they feel now on a scale of 1-10? Then bring out a pen or a sharp pencil. What if I threatened to push this pencil into the bag? How worried would you be then? 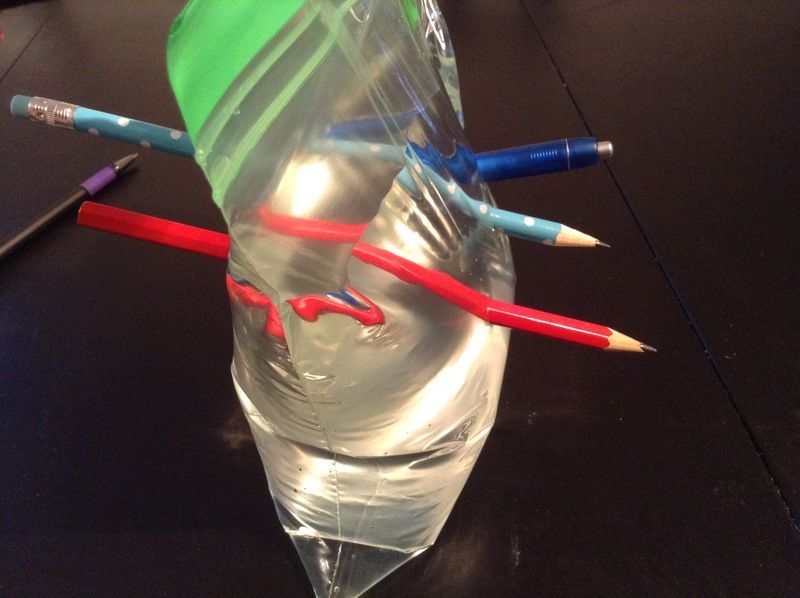 Stick the pencil ALL THE WAY THROUGH the plastic bag in one steady move so that the pencil is poking out either side of the bag. No water will come out! Repeat this twice more. Emphasise the point you knew that no harm was going to come to the teacher even if they were worried. You had it covered. When we are worried, we know that God has it covered and will look after us. We can tell Him anything we are worried about. Who can the children talk to if they are worried? Say a prayer, thanking God for people who help us when we are worried and thanking Him that we can talk to Him about our worries too.